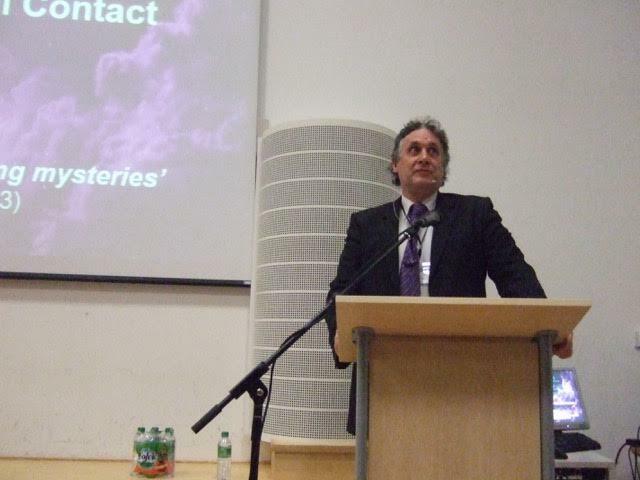 ﻿The Cornwall UFO Research Groups' annual conference, now in its 18th year was once again held in the impressive Fal lecture theatre at Truro College, Cornwall. On the day an audience of some 70 attendees enjoyed lectures from leading researchers in their field and which covered a wide range of UFO and related metaphysical subjects. 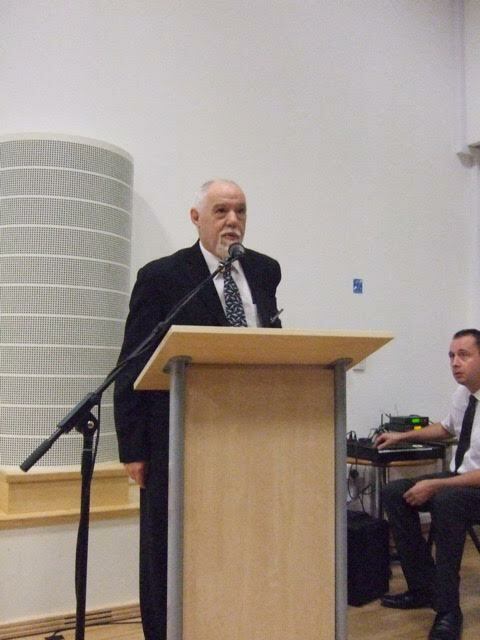 09:50am The conference was opened by Dave Gillham of the Cornwall UFO research group who welcomed the audience and spoke about the day's forth-coming events. UFO researcher and contactee Peter Morris presented the first lecture of the day. In a varied and diverse presentation Peter spoke about his early years as a child and how he was introduced to Magick following the appearance of a humanoid, praeter-intelligence at the age of five. He spoke about the use of strange languages and hieroglyphic text used by some ETs and on strange symbols which have appeared on the side of many crashed UFOs all over the World. Following this he then described his many years spent making contact with various extra-terrestrial groups, including Lion-headed ETs, whilst in a state of astral-travelling. Peter concluded his presentation by introducing his own personal ideas on the current state of UFO research, the failings of the current thinking on the nature of cosmic intelligences and, with photographs of his own spiritual encounters with UFOs he proposed a possible new approach to making sense of the UFO/ET phenomenon. 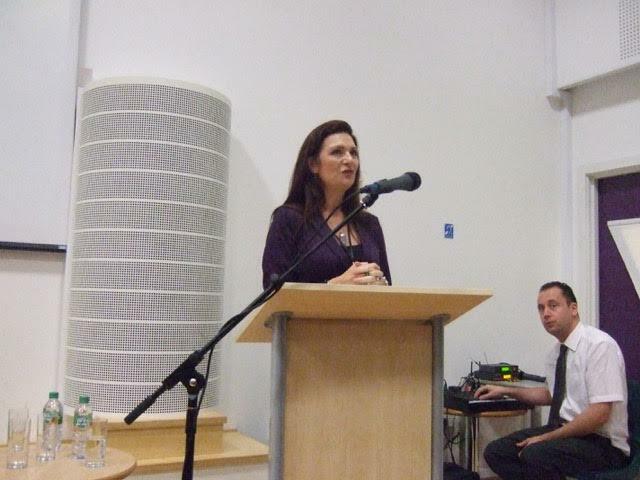 Lorraine Flaherty, a hypnotherapist from London, began her talk by speaking about her early introduction into spirituality and metaphysics following her sense of disappointment at the teachings of orthodox religion. She described how her life-long quest to discover personal truth led her to study and examine a wide range of esoteric teachings and which drew her to develop a fascination with extra-terrestrials and alien contact. Following a near death experience on a plane Lorraine discovered NLP, hypnosis and meditation which she studied and qualified in leading her to work as a clinical hypnosis and then to work in the medical profession. She then explained how she had come to work to help people access the wounded parts of themselves as a way of finding their own inner freedom and to reveal current life lessons in forgiveness. Finally, Lorraine spoke about her own star-family roots and the raising of light on the planet. 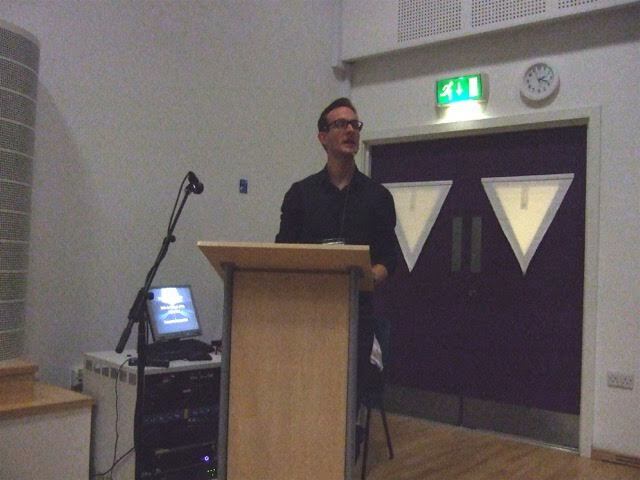 After lunch Robbie Grahams' presentation on 'Silver Screen Saucers' opened the afternoon's proceedings. In a fast-paced and lively presentation he examined the role that Hollywood has had in the determining the current public understanding of extra-terrestrials and UFOs. With research that encompassed thousands of UFO films, Robbie determines that the prolific number of film releases on the subject, over fifty since 2000, have created a blurring between fact and fiction which has left society with a somewhat warped and skewed concept of reality. This, the presenter argued, is so encompassing that most people use Hoollywood themes as their frame of reference. Robbie termed this 'hyper-reality' - term that he feels describes the type of fantasyland consciousness that infects us all. In his summing up, Robbie made a prolonged and highly-challenging attack upon the current trend within UFOlogy towards pressing for Government Disclosure of the truth behind UFOs and extra-terrestrial contact. He argued that this grossly mistaken approach to the subject is indicative of our own immaturity as a society to cope with one of the most deeply-disturbing and challenging subjects. In a widely-anticipated presentation Dave Gillham of the Cornwall Research Group revealed the best of his many years of UFO reports and local sightings in the county. These included a look at a 2000 sighting across seen across Cornwall by multiple witnesses at various locations including; Gunwalloe, Blackwater and Marazion. Following this Dave also documented a highly creditable report by a mother and daughter who witnessed lights from Truro Crown Court in December of 2000. The number and diversity of reported sightings of UFOs came from a man driving on the A30 with his wife, a couple in car at Foxhole and a report at St Margan in response to low flying helicopter chasing lights. Dave also showed a video of an interview with a young man who observed a rotating light in 2001 including video of the four lights and the position he saw them from. After summing up with his sense of frustration in trying to get any creditable information from local Air Force bases David Gillham then handed over to David Lean who then invited comments and contributions from members of the audience relating to UFO sightings they have had. 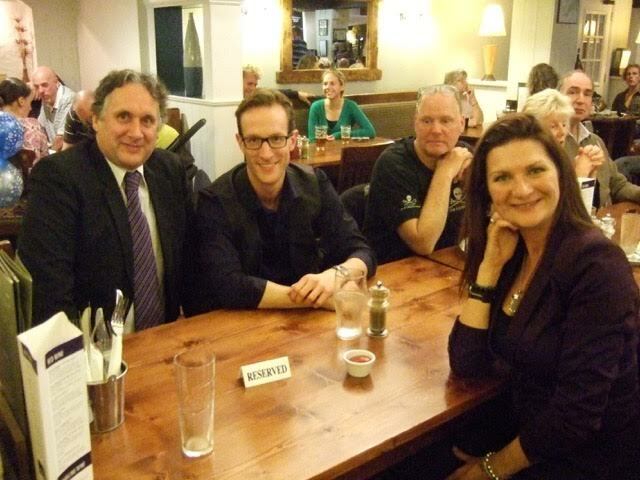 The event then drew to a close whereupon the general consensus amongst those who attended that this had been an insightful and highly-informative conference with a high sense of expectation that next years will, once again, highlight and expose the growing mystery of UFO sightings and extra-terrestrial contact.